The fate of future nuclear power projects in Europe could hinge on whether government-backed guarantees for Britain’s Hinkley Point C power station survive an expected challenge from Austria in Europe’s highest court. Analysts agree that large nuclear undertakings have become too costly and risky for private investors alone. For this reason many EU countries are backing the UK’s support for nuclear power. Timothy Spence reports from Vienna. The £24.5-billion Hinkley project is a likely test case for the future of nuclear energy in the European Union, with at least ten member states on record as backing the right to carve out national exceptions for new plants despite laws against state protectionism for electricity. The twin-reactor 3.3GW Hinkley would be one of Europe’s costliest energy projects, especially for the consumers who will be required to pay a guaranteed minimum price for decades. 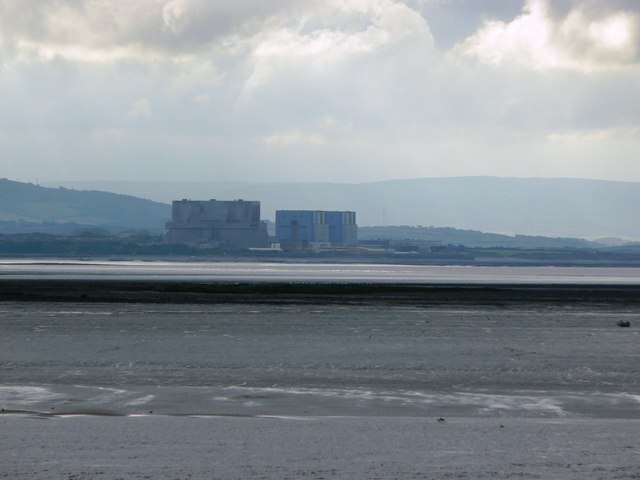 Whether Hinkley is a one-off exception or not, some analysts believe it shows that the industry has little choice but to seek government help. “Nuclear will only be built within the EU if there is a significant financial support scheme,” says Antony Froggatt, a senior research fellow who specialises in European energy policy at London’s Chatham House think-tank. Besides investment challenges, he argues that the market is moving beyond traditional baseload power projects as renewables become cheaper and as energy storage and smart-use technologies grow. “The general trend is that the share of nuclear within the power sector in Europe will decrease over the coming decades,” Froggatt predicts. Britain argued that Hinkley is vital to its energy security and asked the Commission to waive competition rules, saying the country’s first nuclear plant in 20 years cannot be built without long-term public assistance. In other cases, foreign investors will help absorb power plant costs: Finland (Fennovoima) and Hungary have turned to Russia’s Rosatom, while Romania has signed a deal with China General Nuclear (CGN) to build new nuclear capacity. If the subsidies for Hinkley are struck down in court or shelved by British politicians, “this would bring additional uncertainty to the market and raise the risk charges for nuclear projects,” Fischer says. Jan Haverkamp, Greenpeace’s lead expert on nuclear power, says the sheer price of building nuclear plants makes them less and less viable. At a minimum cost of €5000 per kW to install in the EU, nuclear has become too dear to be financed purely through capital markets. The cost of Hinkley Point C is nearly double that. Joaquín Almunia, the EU’s former Competition Commissioner, announced on 8 October that the EU executive had approved London’s request for exemptions from competition rules to ensure the construction and operation of Hinkley. Haverkamp calls the approval “a U-turn” away from the liberalisation of the European electricity market that began in 1996. The deal provides a minimum guaranteed price of £92.50 per MWh – roughly twice the current wholesale electricity price – to France’s EDF Energy, to operate the plant in southwest England for 35 years once it is operational. It also provides a credit guarantee of £10 billion. The plant would take a decade to build and represent 7% of UK electricity generation. Austrian leaders immediately announced they would ask the European Court of Justice (ECJ) to overturn the Commission’s action, saying it violates competition rules by throwing public support at a mature technology. Officials in Vienna also fear the Hinkley arrangement could lead other countries to ask the Commission to sign off on similar help for their nuclear industries. It “would set a negative precedent to open this type of subsidy for nuclear energy,” Austria’s Vice Chancellor and Economy Minister Reinhold Mitterlehner told journalists just before the EU executive’s decision was announced. Sources close to Austrian Chancellor Werner Faymann declined to discuss specifics, other than to say that the case cannot be brought until the Commission’s decision is published in the Official Journal of the European Union. The document is now going through final review before publication. Austria’s position comes as no surprise – anti-nuclear sentiments cut across the political spectrum there. The genesis of that opposition dates back to 1978, when Austrians voted by a slim margin to scrap the country’s first atomic energy station just months before it was due to go online. A succession of parliamentary votes – including one following the Three Mile Island nuclear accident in 1979 and another after the Chernobyl disaster in 1986 – re-affirmed the country’s opposition to nuclear power. That decision came with a hefty price tag – abandoning the Zwentendorf station on the Danube is estimated to have cost €1 billion. With Chernobyl still fresh in mind, Austria also was among those countries pressing for the decommissioning of Soviet-era nuclear reactors operating in former east bloc countries that would join the EU in 2004 and 2007. “Ever since then, Austria has been on the front line to protest any nuclear power plant anywhere in the European Union and Hinkley Point C is just the next one,” says Helmuth Böck, a professor who specialises in radiation physics at the Technical University of Vienna and who has written about the country’s experiences with nuclear energy. “The position is to prevent financial support to nuclear because in the eyes of Austria’s politicians, nuclear is not sustainable – is expensive, dangerous – and nuclear power should not be supported by European funds. They say the money should be diverted into renewables and sustainable energies,” Böck says. The Hinkley deal faces other hurdles. The UK’s National Audit Office is conducting a review of the financing scheme for the national Parliament. Some of the nuclear industry’s competitors in the UK – including green energy provider Ecotricity – have indicated they might challenge the loan and price guarantees for Hinkley Point C as a distortion of the market. Still, the British government will not be alone in defending state aid for future nuclear undertakings. The Czech Republic’s industry minister, Jan Mládek, argues such investments should be a national decision. “There are a number of failures in energy markets across Europe bringing serious concerns about the ability of markets alone to offer the sufficient security required to stimulate investment on a purely commercial basis,” Mládek wrote to the Commission on 25 June, some three months before the Hinkley decision. Foratom, the European nuclear industry association, has said national incentives like those contained in the Hinkley scheme “will help provide the large, stable volumes of baseload low-carbon electricity that are essential to the EU achieving its energy security, climate change and competitiveness goals”. A nuclear future – or not? Though the Hinkley project is still far from certain, it is too early to announce the demise of nuclear power in the European Union. Some 131 operating nuclear reactors provide around 27% of the bloc’s electricity – renewables collectively provide about 24%. Two reactors are under construction in Slovakia and one each in Finland and France – the EU’s biggest nuclear market, where 58 reactors account for about half the EU’s nuclear output. Some 34 reactors are planned or under consideration in Bulgaria, the Czech Republic, Finland, France, Hungary, Lithuania, the Netherlands, Poland, Romania, Slovakia and Slovenia, World Nuclear Association figures show. The industry says these projects promise jobs, energy security and a climate-friendly source of energy. While state support would be critical to most of these projects, there are alternatives. Finland’s Fennovoima is looking to Russia’s Rosatom as a partner in the construction of a new nuclear plant at Hanhikivi. Hungary has forged a deal with Russia to finance two new reactors at Paks and Romania has signed up CGN – also an investor in Hinkley Point C – to help finance two units at Cernavoda. Despite these new and anticipated ventures, Europe’s nuclear market is shrinking. Germany’s post-Fukushima decision to decommission its nine remaining reactors by 2023 has also caused a nuclear rethink in Belgium. Many facilities are ageing. All but one of the UK’s 16 reactors are to be retired within a decade, according to the World Nuclear Association. Chatham House’s Froggatt believes nuclear faces another challenge. Cheaper renewables, smart technologies that can regulate demand, and energy storage will do the same thing that mobile phones did to the fixed-line industry – give people more choice and independence from traditional providers. Did I miss something? The UK government asked the EU to endorse its payout to the nuclear industry without ever asking the British consumer. Downing Street really are living in an alternative universe. Why should consumers pay to support an industry that is dangerous, costly in the long-term and totally out of sync with 21st century energy reality? because UK politicos really are that thick, really do listen to DECC (aka EdF – 50% of DECC are revolving door people) and the current crop of political scum, don’t give a stuff about peasants like you and me, Mr Simms.. Console yourself with this thought, for the next 35 years part of your electricity bill will be going directly to … the French state. I know, that this is what was intended when Thatcher privatised the UK electricity industry. Remember that, next time you are close to a ballot box. Distancing oneself from Hinckley for a moment, there is something very bizarre about the whole affair. On the one hand we have a UK CONSERVATIVE government wanting its citizens to give money to the French state for more than 35 years. On the other hand we have a state that is conservative to its core (Austria) saying that the whole deal is against the “single market”. We known the UK Tories take bribes (use your own word) from the UK finance parasites and the oil and gas extraction sector indeed you could argues that the Tories are just a political expression of both. But volunteering the whole UK pop’ into giving a massive pile of cash, to a bunch of French socialists? for 35 years? (i.e. in political terms – forever). It….makes….no….sense. It is also very difficult to understand the “relationship” – who owns who here? You would think, that if it is the UK that is putting up the cash, they would call the shots. & yet this does not seem to be the case, throughout the whole saga, it has been EdF calling the shots… “give me this… or else”. Ultimately one is only left with speculation: perhaps the DGSE has something very interesting on the Tories (Camoron (or Gidiot) inflagrante delicto? – the missing file on the paedo ring in Westiminster in the 1980s?) who knows? Just to finish on the comment from Foratom, I was talking to Poncelet the other week about Belgian events e.g. a “spare 1.3GW of CCGTs sitting on the Dutch side of the border in Massbracht & a “oh dear, we only strung the 380kV line in Belgium to single cct standards – thus saving 7% – ooops ” ..that worked out well didn’t it – oh hang on Poncelet was….. Belgian energy minister (or so he said to me). So his bunch are now saying that we need….”large, stable volumes of baseload low-carbon electricity”..from nuclear, hmmm . who says we need baseload? Suggestion – have a chat to the Germans, cause they are now taking the view that they don’t, need baseload, for a low carbon future. Does nuclear have a future? just asking. Good article, good discussion. On Hinckley C finances: UK citizens are on the hook for–“Strike price” per megawatt hour, plus inflation, spent fuel disposal, eventual decommissioning, liability for accidents. Deep geological repository for waste–where is it, when will it exist? In other words, completely unlimited liability. Three Mile Island, Chernobyl, Fukushima–also completely unlimited risk. All nukes should be shut down and decommissioned. German ratepayers and voters and their Energiewende are showing us the way.